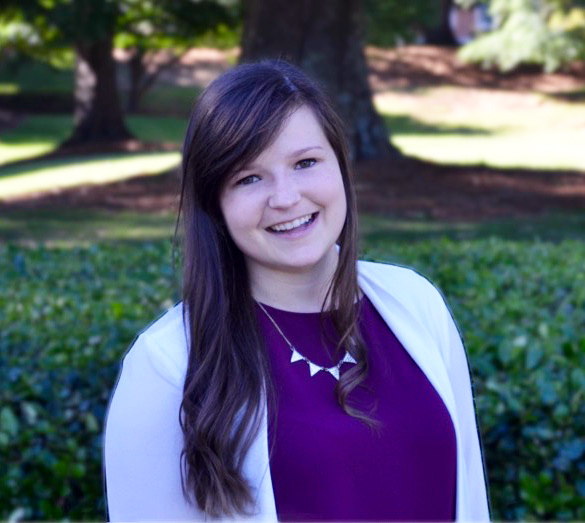 Anne Marie Thibodeaux, a dually enrolled graduate student in Samford University’s McWhorter School of Pharmacy and School of Public Health, has been named one of four nationally recognized Express Scripts Scholars by the American Association of College Pharmacy’s Express Scripts Foundation. This designation comes with a $10,000 scholarship, and it honors Thibodeaux’s dual-degree status as she pursues both a Doctor of Pharmacy and Master of Public Health at Samford. McWhorter School of Pharmacy has multiple dual-degree options, allowing students to personalize their Doctor of Pharmacy with degrees such as Samford’s Master of Business Administration, Master of Public Health, Master of Science in health informatics and Master of Science in health law and policy. “With the shape of health care constantly evolving from a reactive model to a more proactive model, I feel every health care professional must follow suit,” Thibodeaux said. In pharmacy school, students learn about specific diseases and how to treat patients’ specific conditions. In the School of Public Health, students gain an outside perspective of the prevalence of diseases, as well as possible ways to prevent them. “I believe that this combination of the individual perspective with the population perspective will allow me to give my future patients not only the health care they need, but the health care they deserve,” Thibodeaux said. While Thibodeaux can attest to the many challenges that come with pursing two degrees, she is confident that the outcomes will be worth the additional effort. ACCP’s Express Scripts Scholars Program provides financial support to pharmacy students enrolled in dual degrees. Financial awards such as the Express Scripts Scholarship enable students to pursue unique educational opportunities through dual-degree programs without being hindered by a financial burden. Olivia Halverson is a journalism and mass communication student and a news and feature writer in the College of Health Sciences.